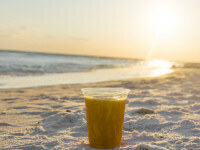 Some of the best Sandestin restaurants are right here at Hilton Sandestin Beach Resort Golf & Spa. Our Four-Diamond rated steakhouse represents the best fine dining near Destin, Florida. Our poolside grab-and-go market is perfect for a quick beach snack. There’s also a family-style restaurant, a lounge that’s open late, and more! A traditionalist mainly sticks to the classics, like a 100% USDA prime porterhouse steak with a side of twice baked potato and an old-fashioned cheesecake for dessert. That’s one reason Seagar’s Prime Steaks & Seafood is the perfect place for a dining companion who has a classic palate. 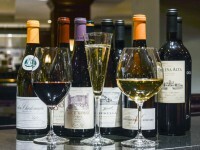 Did we mention that Seagar’s is Northwest Florida’s longest-standing AAA Four-Diamond Restaurant with an award winning 600-label wine list? If you’re looking for fine dining near Destin, Florida — Seagar’s is the place to go. We all know a pint-sized picky eater. But at Picnix Poolside Market (open seasonally), there are plenty of snack options to please even the most persnickety. Grab-and-go or grab a seat; Picnix is conveniently located between our two outdoor pools. Picky eaters can enjoy an array of different types of hot dogs, a personal pizza or an age-old favorite — ice cream. Everybody has heard that breakfast is the most important meal of the day. At Hilton Sandestin Beach, we wholeheartedly agree! 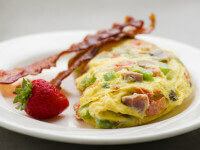 Breakfast lovers will enjoy Sandcastles Restaurant’s extravagant breakfast buffet, offered daily. 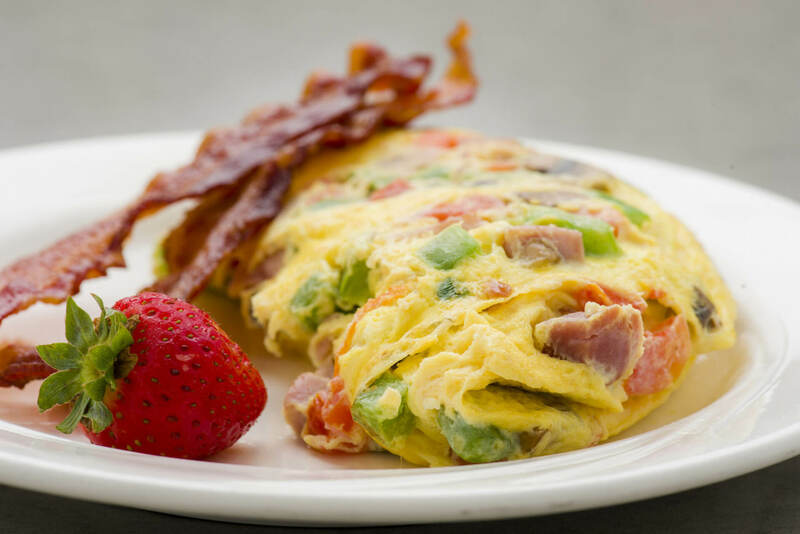 Help yourself to...everything: made-to-order eggs and omelettes, pancakes, breakfast potatoes, sausage and bacon, seasonal fruits, cereals, yogurts and fresh baked pastries. Prefer steak and eggs? We also have an à la carte menu for breakfast. Brought the kids along? We also offer a child-priced buffet for those over 10. Children under 10 eat free with paid adults as part of their daily resort charge. Celebrating something (like a great vacation)? Say “Cheers!” with our signature HSB Infused Bloody Mary or mimosa. 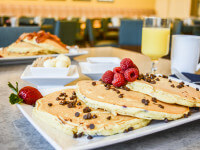 During your visit, indulge at Sandcastles Restaurant — Sandestin’s best breakfast spot. No matter how delightful the beach is, when the game’s on, die hard fans want to gather around an 11-foot-wide TV screen with some great food. Sandcastles Lounge checks off these boxes. There’s nothing better than a Sandcastles half-pound angus burger patty topped with American cheese, bacon, sautéed mushrooms and onions, lettuce, tomato and our housemade burger sauce on a brioche bun, served with fries...unless we’re talking hot wings with blue cheese dressing, of course. From all types of palates and all types of meals, our Sandestin restaurants have an enviable reputation among locals as well as guests. For casual meals in flip-flops to special occasion fine dining near Destin, Florida — visit Hilton Sandestin Beach Resort Golf & Spa.